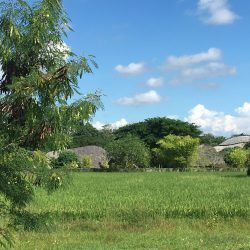 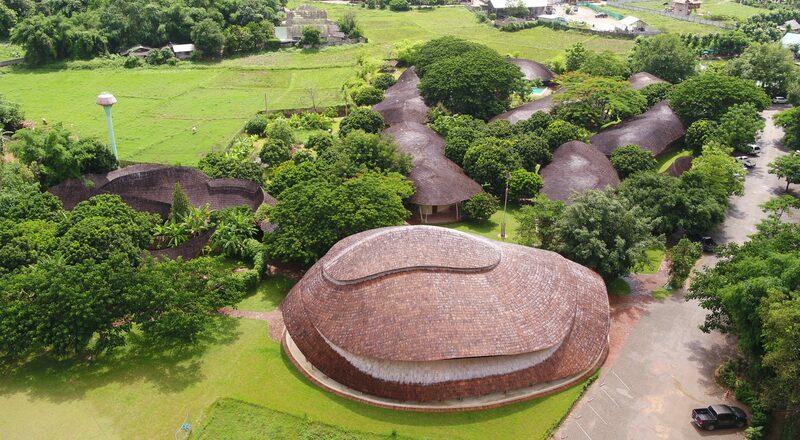 Panyaden International School is situated in the city of Chiang Mai in northern Thailand. 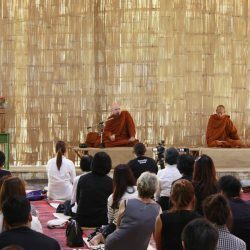 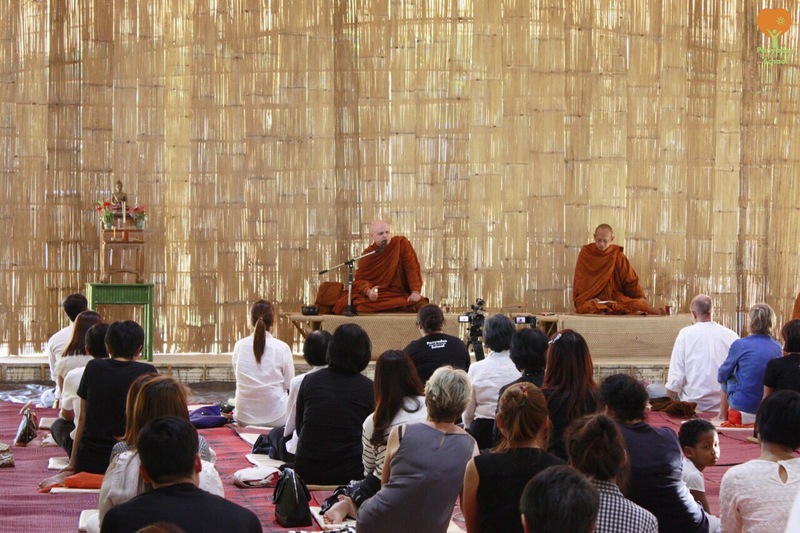 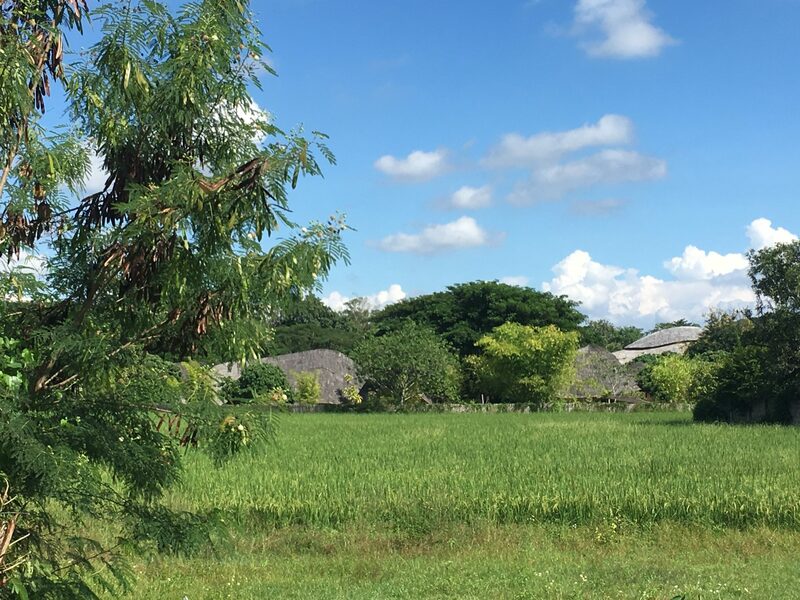 It’s philosophy is to teach human values based on love for nature and Buddhist educational principles alongside an internationally competitive British curriculum. 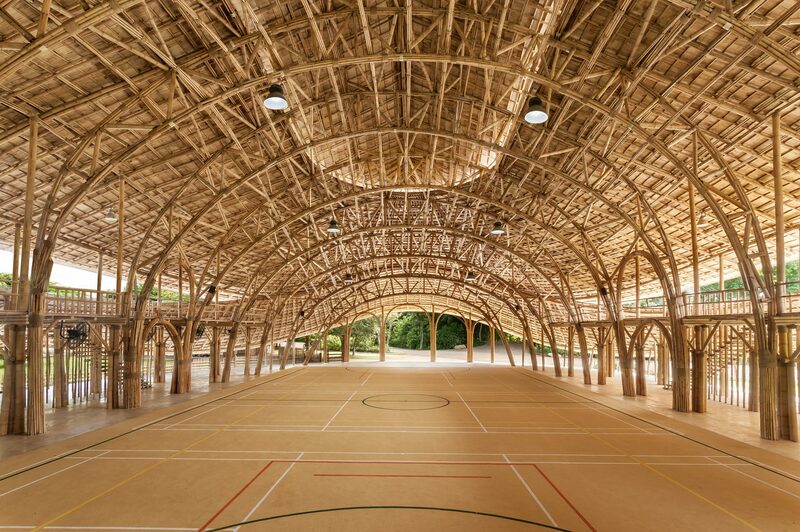 As the climate is mainly hot or wet, it became important as the school grew to provide for a sheltered sports arena. 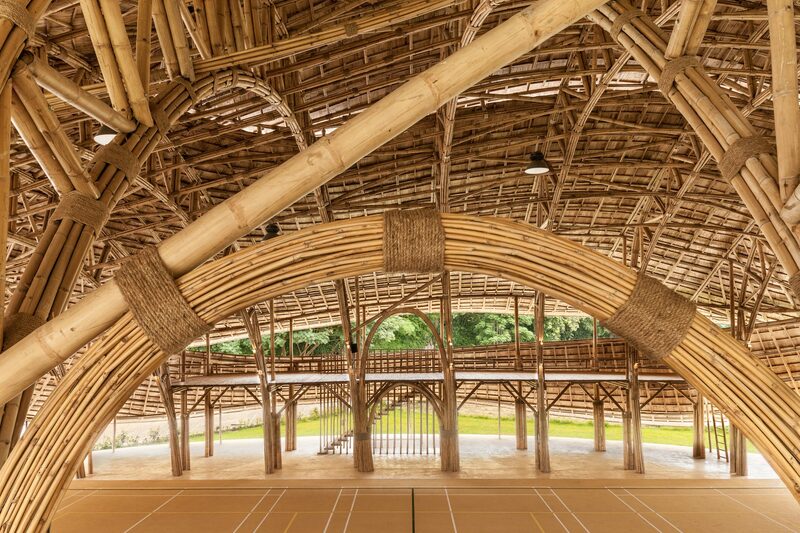 Thus the Panyaden International School Sports Hall was conceived. 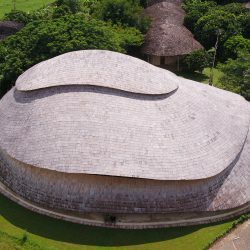 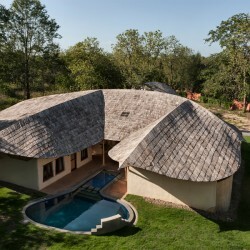 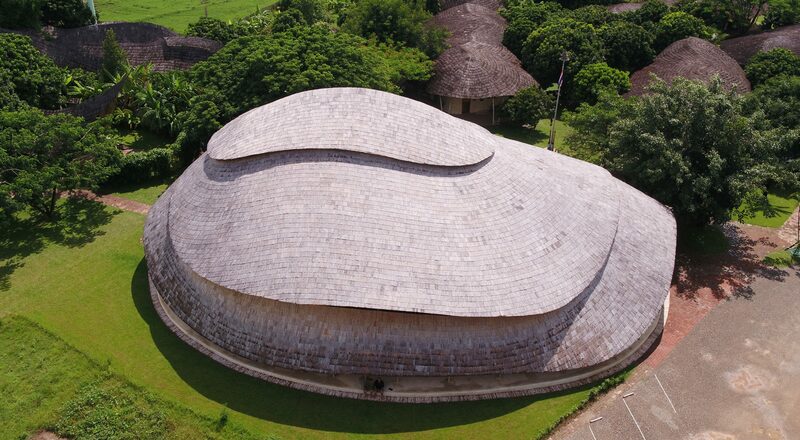 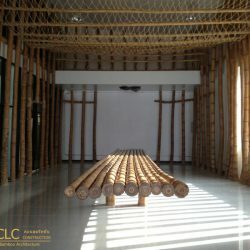 True to its principles the whole school was built only with natural materials to bring the kids closer to nature and show them these materials are actually superior to the main construction materials as they keep the rooms cool and are pleasant to look at and touch. 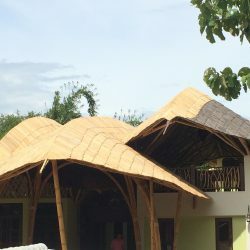 At the same time they reduced the carbon footprint by 90% compared to the standard techniques of construction. 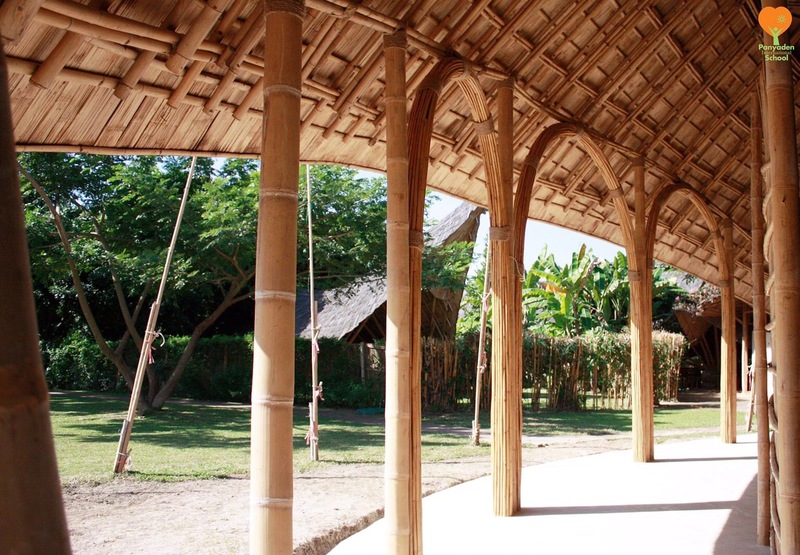 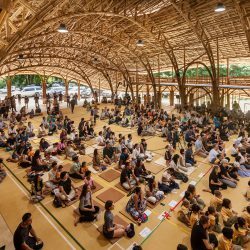 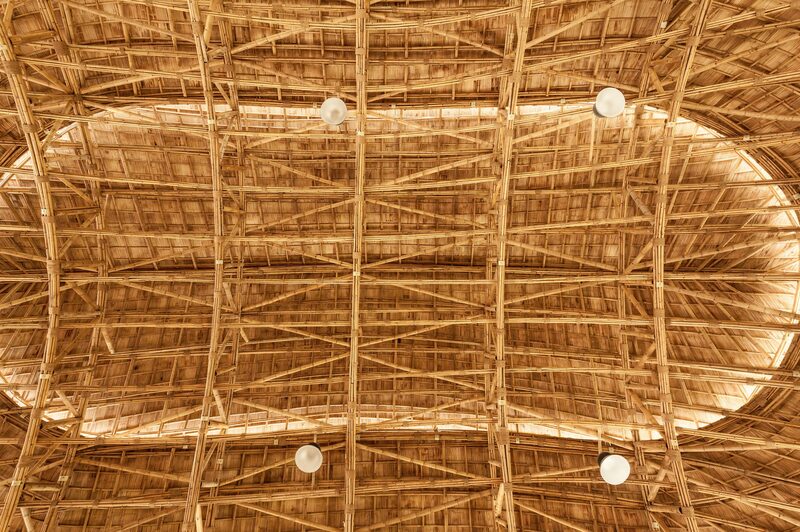 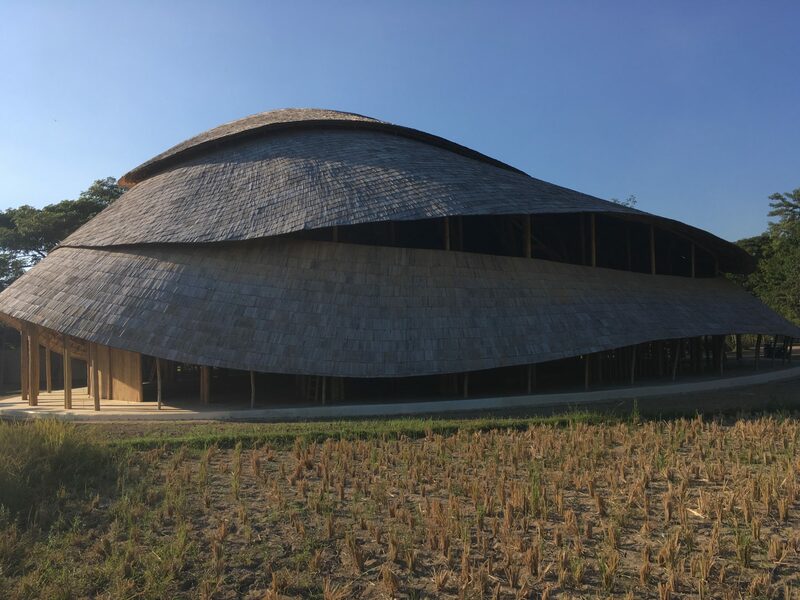 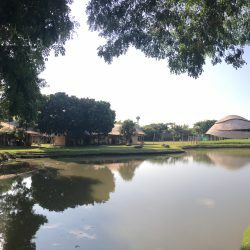 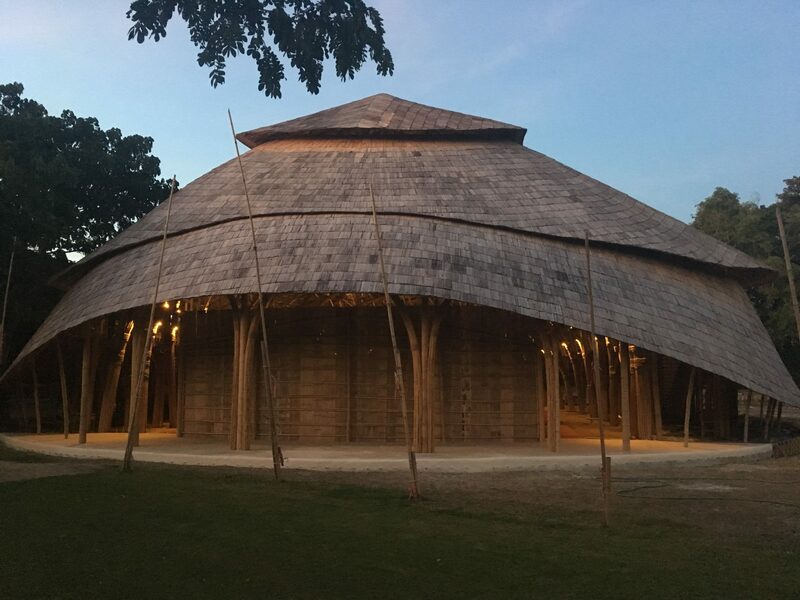 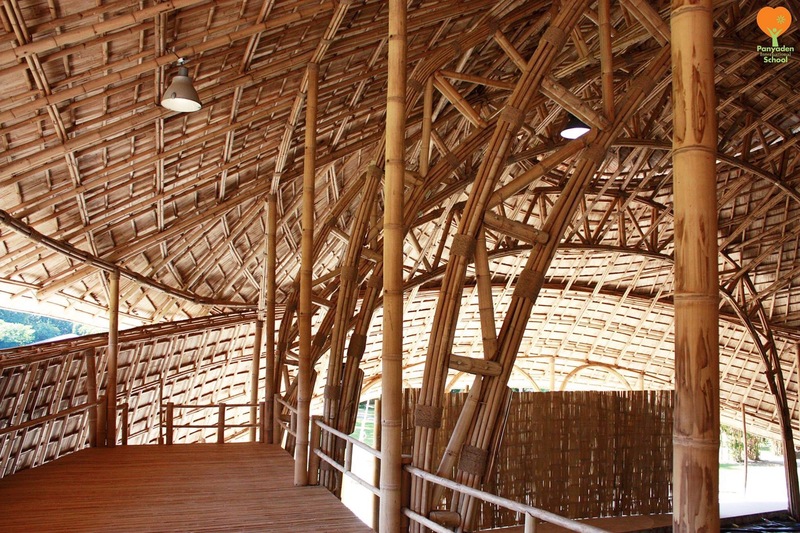 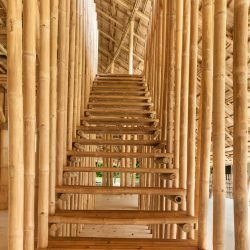 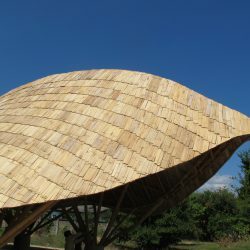 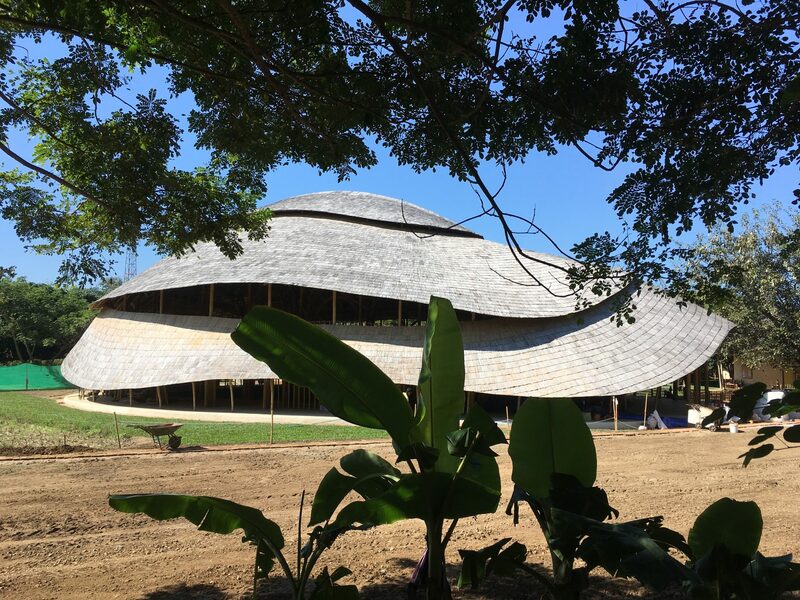 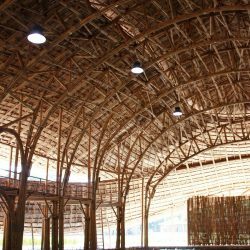 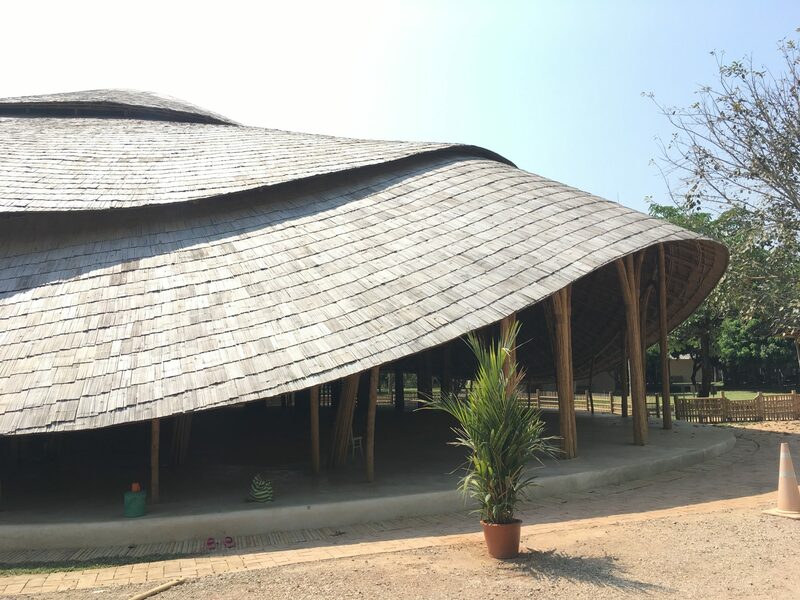 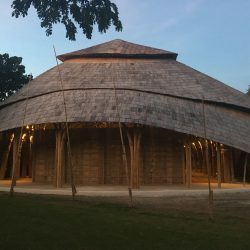 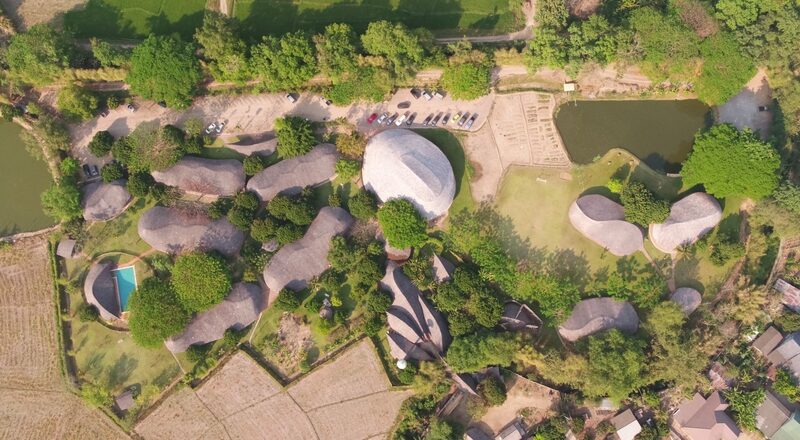 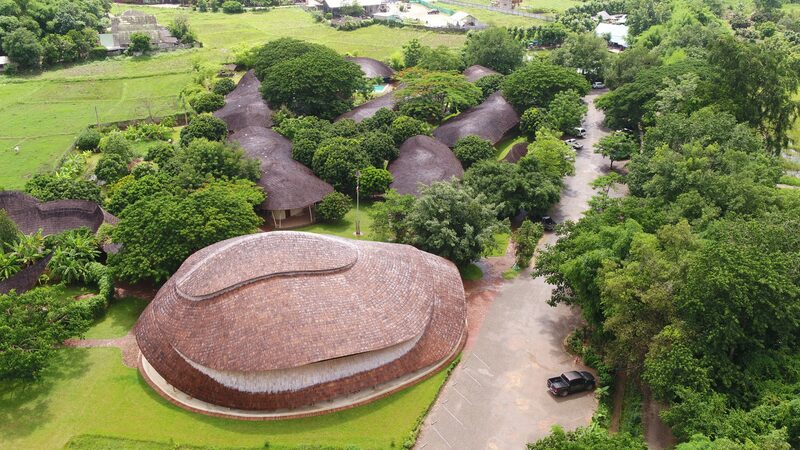 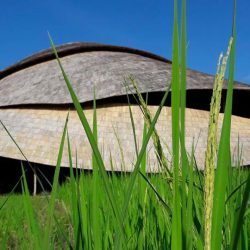 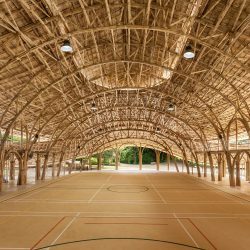 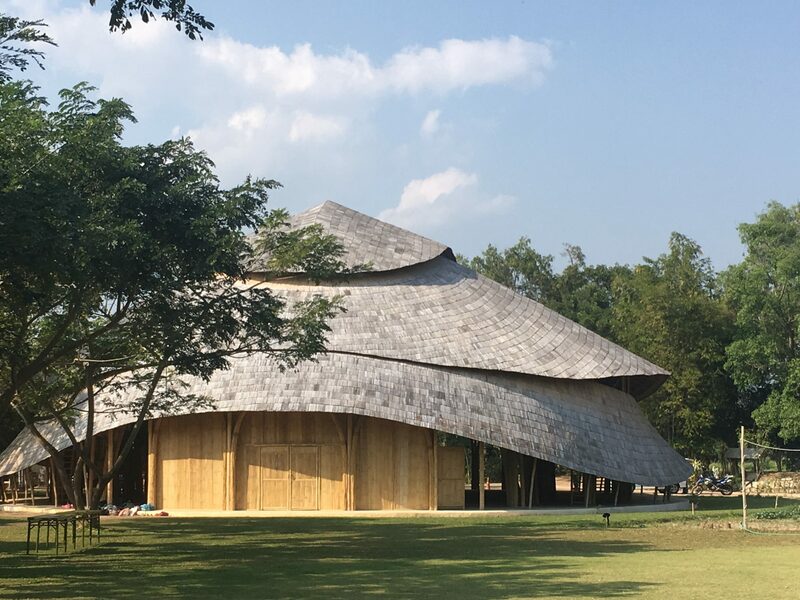 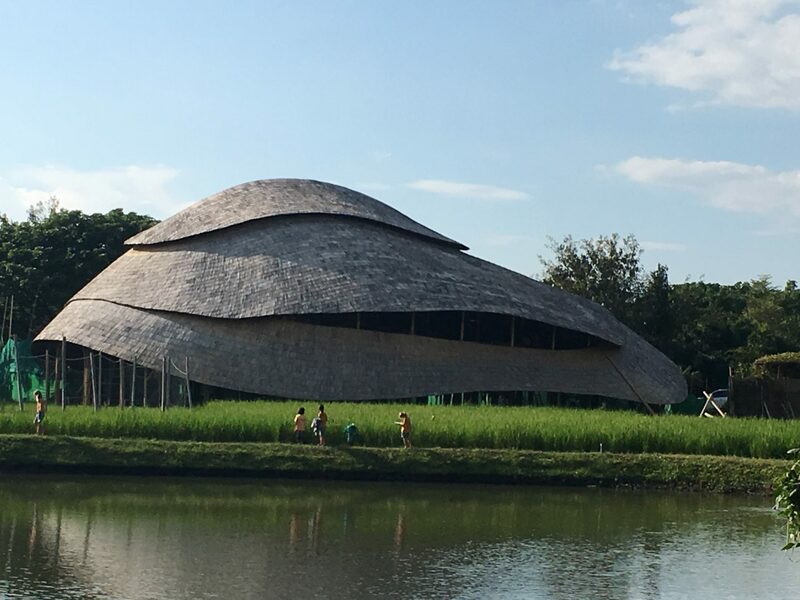 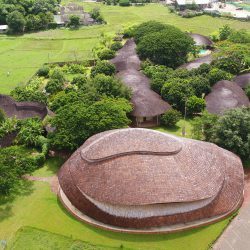 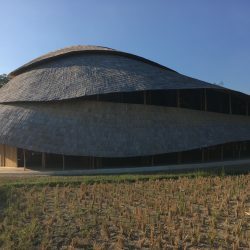 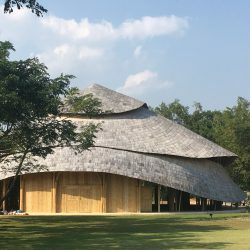 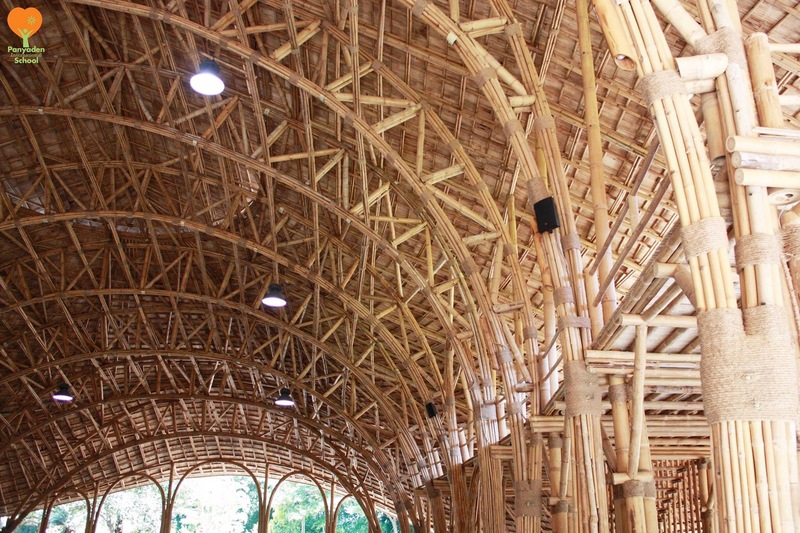 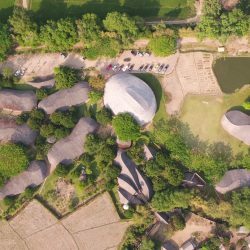 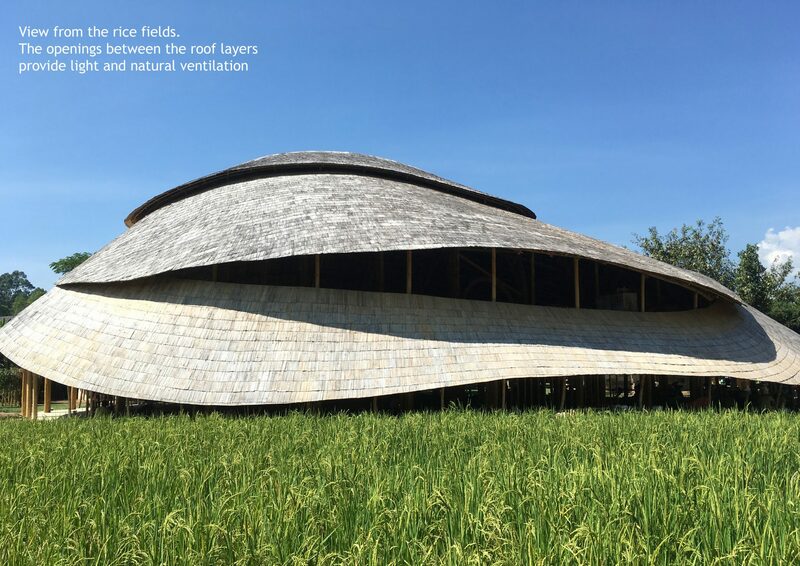 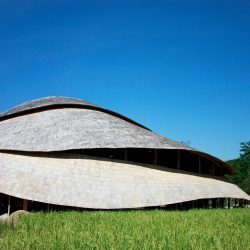 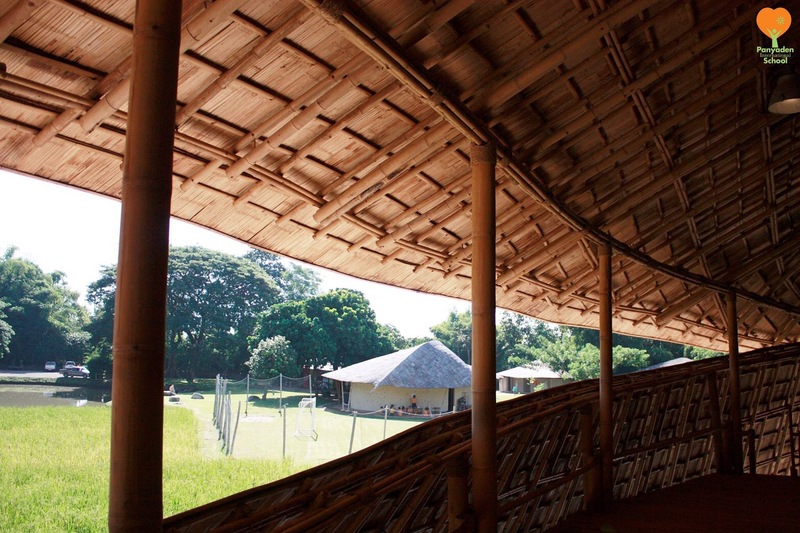 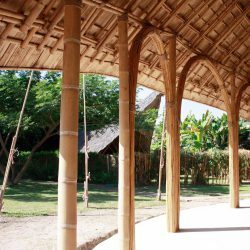 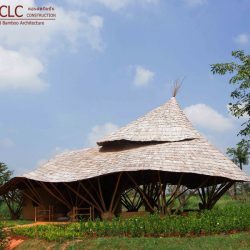 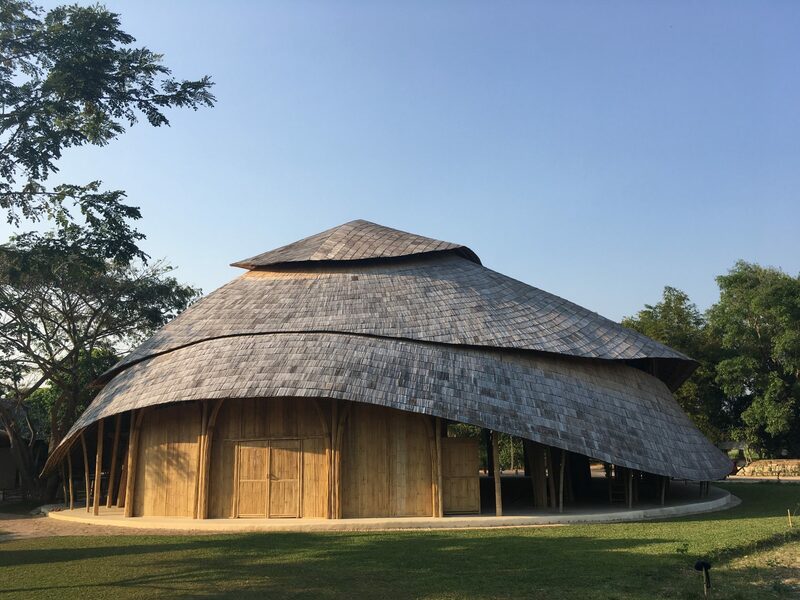 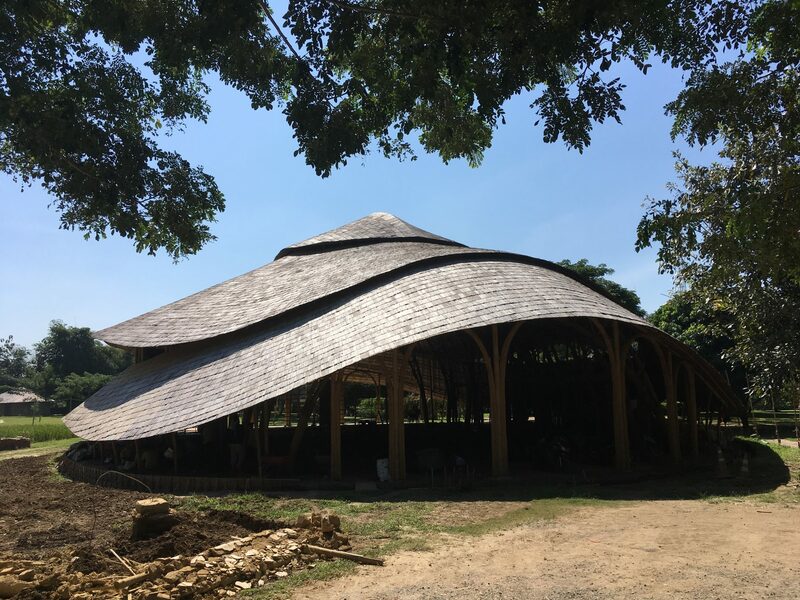 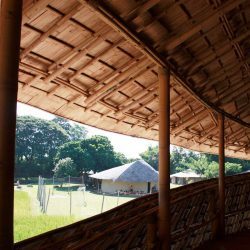 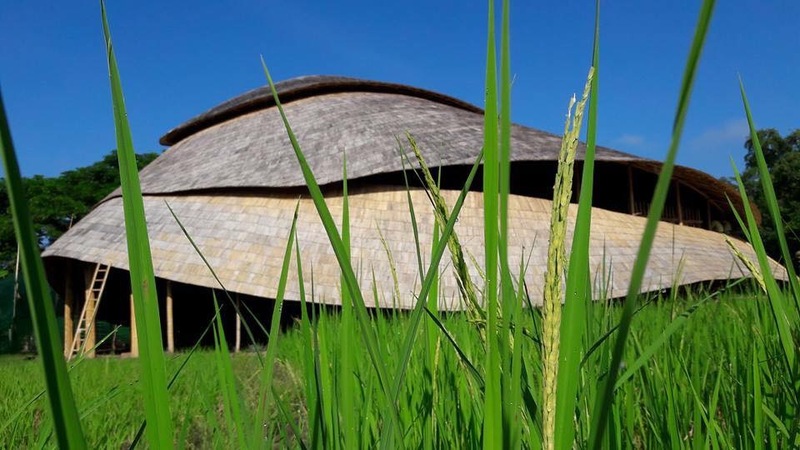 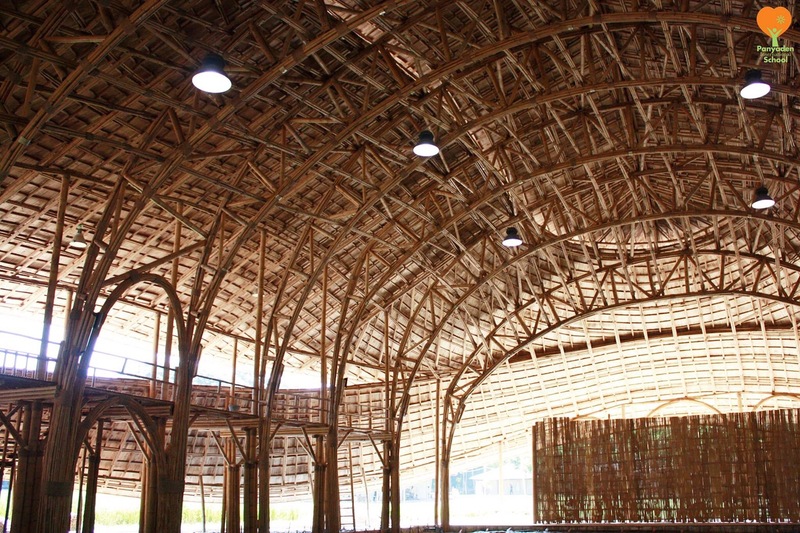 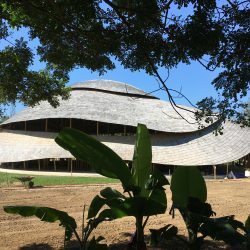 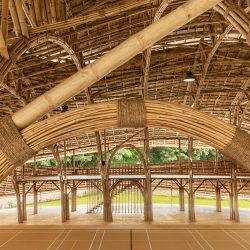 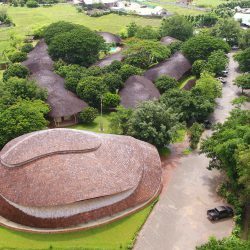 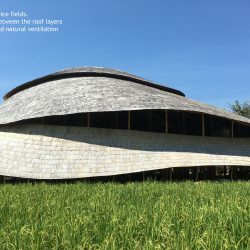 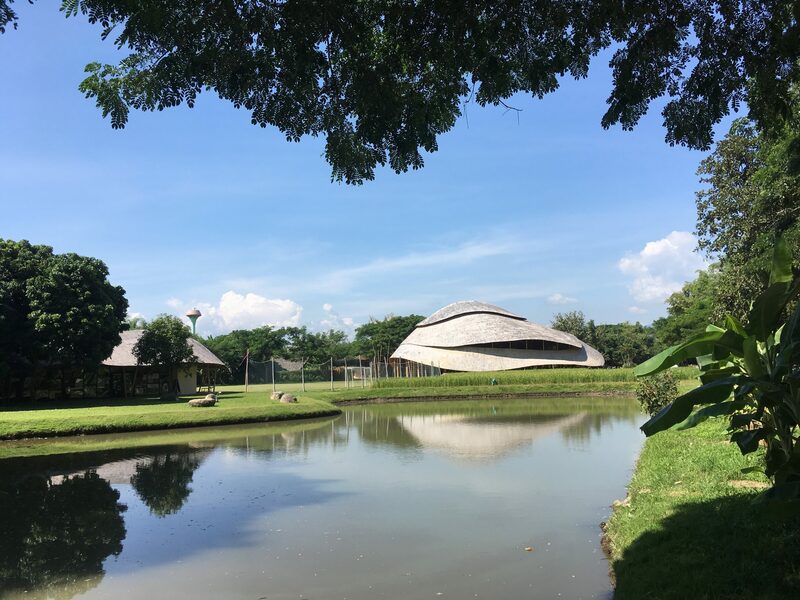 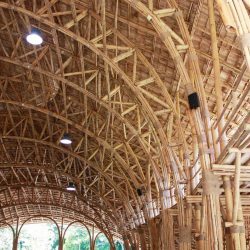 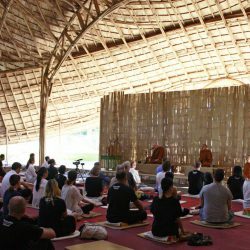 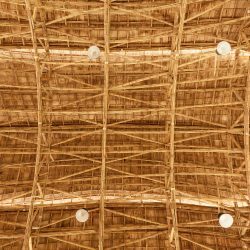 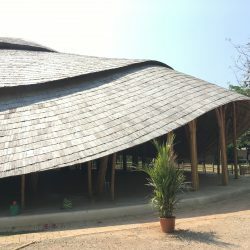 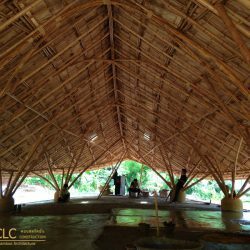 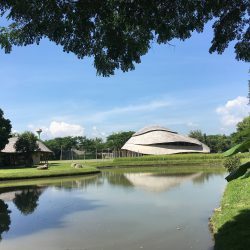 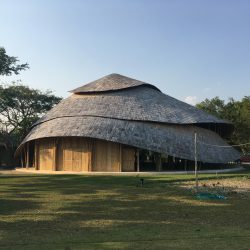 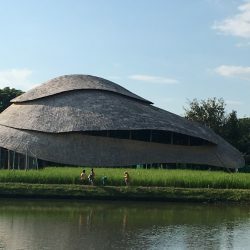 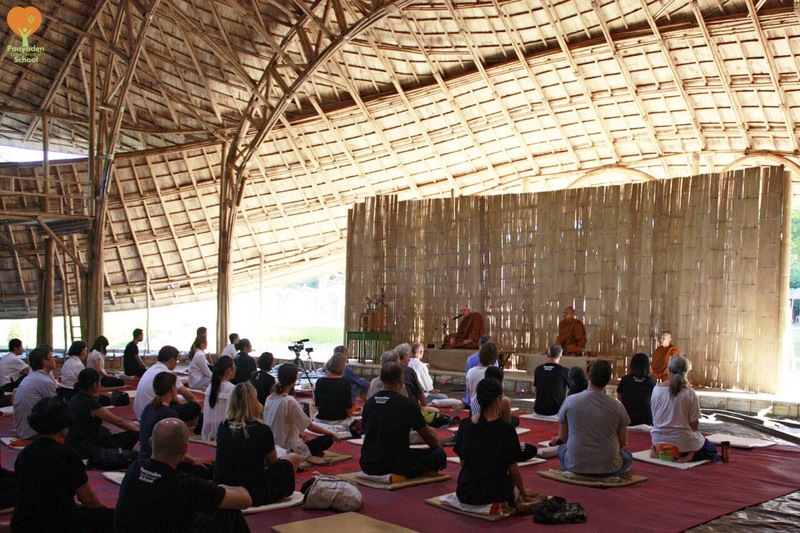 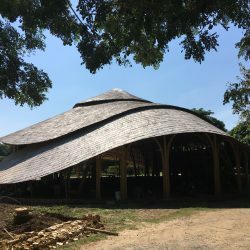 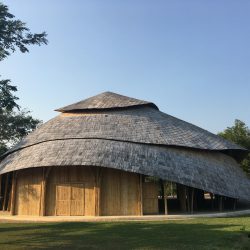 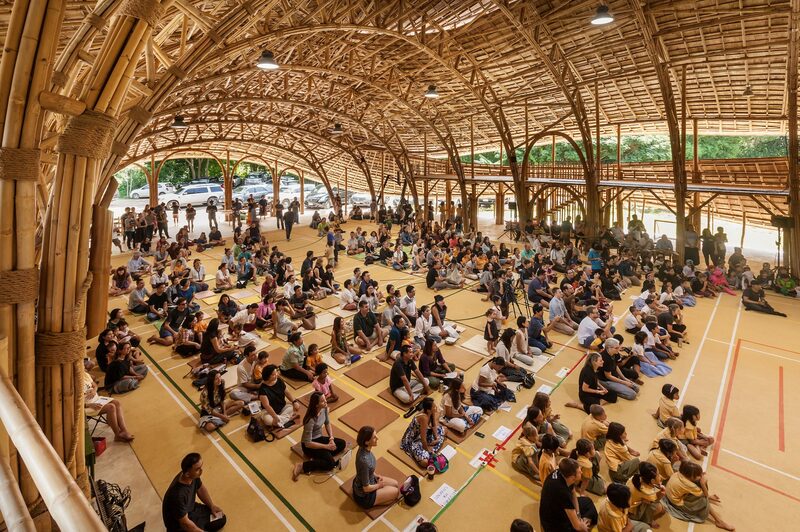 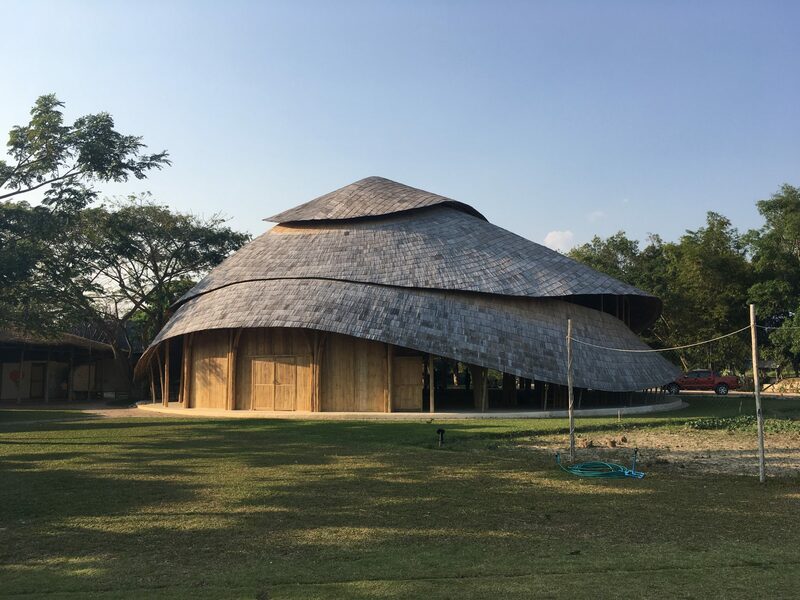 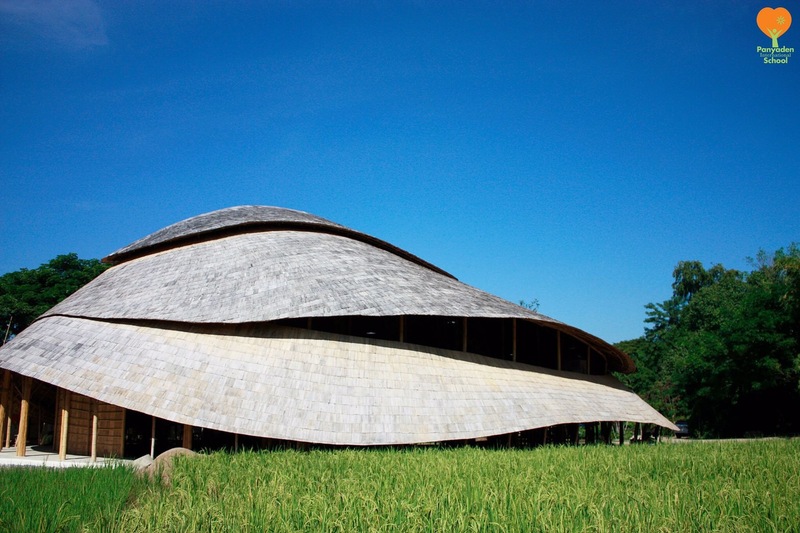 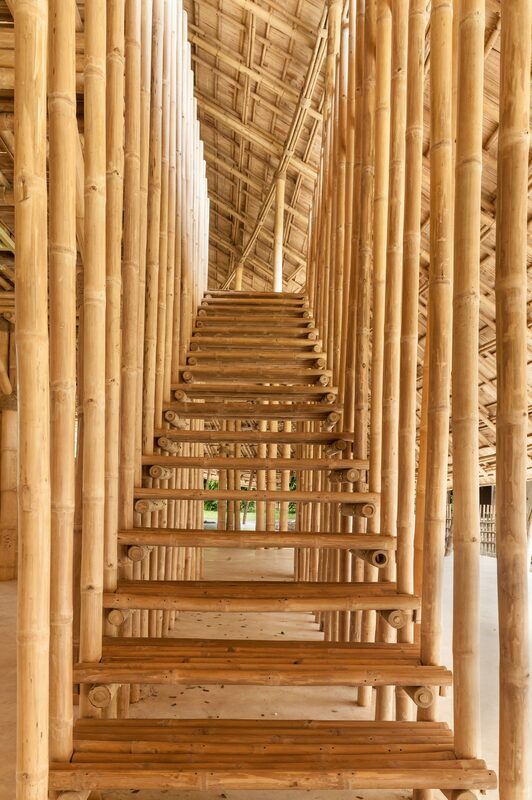 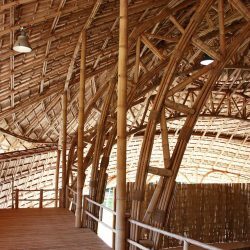 Chiangmai Life Architect’s Bamboo Sports Hall for Panyaden International School combines modern organic design, 21st century engineering and a natural material – bamboo.